Have you been feeling uneasy in your stomach? Has acidity been a common complaint lately? Then, you might be a victim of indigestion. Indigestion usually happens when you eat too much too soon, or end up eating a whole lot of oily and spicy food. Smoking, alcohol abuse, stress, and anxiety are a few major causes of this problem. Indigestion is also called dyspepsia, and some of its common symptoms include abdominal pain, bloating, gas and belching, vomiting, and a growling stomach. While altering your lifestyle might be a great way to overcome the problem, for a more permanent solution, you should consider yoga. It works on the digestive system as a whole, thereby eliminating any issues emerging from it. Take a look at our pick of the top five yoga workouts for better digestion. This super easy, watch-and-learn video will ensure you break into a sweat. But, at the end of it, you will not only tone and strengthen the inner organs but also have a good session of total body detox. This will further aid digestion, and you will successfully get rid of all digestive problems. Whether you are gassy or have IBD, ulcerative colitis, or IBS, in just a matter of 12 minutes, you will find a whole lot of relief. Sarah incorporates traditional yoga poses with breathing, which work wonders for digestion. The slow pace of the workout, along with the mild movements, is extremely comforting. When you have eaten more than you should, and need a little nudge to restore your digestive health, this workout is perfect. It is an intermediate level workout, so make sure you practice it only if you have done yoga before. This is also a great workout for the cold winter months – it ignites warmth as you connect your breath with the movement. This swift and challenging sequence will ground you and help you connect to your roots. The abdominal focus of the workout will ensure great digestive health with regular practice. Remember, do only what you can. This is a 20-minute class that aims at working on your whole body while it focuses on the digestive system. The twists help relieve the sensitivity in the stomach. Also, most of these twists affect the areas below the ribcage – this is where most of the digestion happens. These twists also squeeze the liver, which is an important detox player. After this session, you will feel rejuvenated and cleansed. Through this workout, Adriene encourages you to focus on the sensations of your body. 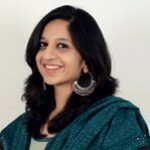 This allows you to delve deeper and benefit from the therapeutic nature of yoga. All the asanas work on the digestive system and heal and cleanse it. Just remember to breathe long and deep and always have a smile on your face. You will find what feels good. 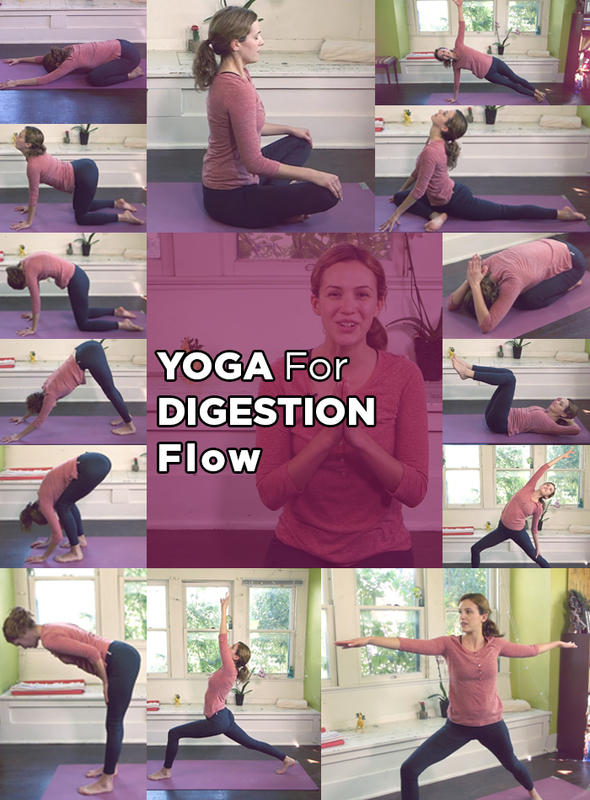 How Does Yoga Aid Digestion? When you practice yoga, you combine movements with breathing. Breathing enforces life force in the body and also cleans the toxins out. Most of these toxins are accumulated because of our unhealthy diets, a whole lot of stress, and bad lifestyle choices. Yoga helps to restore balance and heals the digestive system by massaging and toning it. It also sends a fresh batch of nutrients owing to the boost in blood circulation and helps to detox and replenish the body. 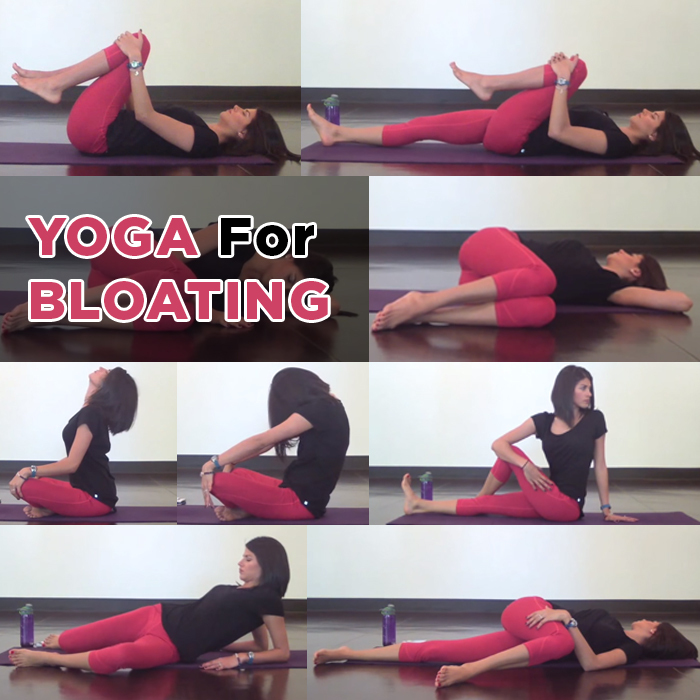 After watching the videos above, it is clear that these are the best yoga poses for digestion. 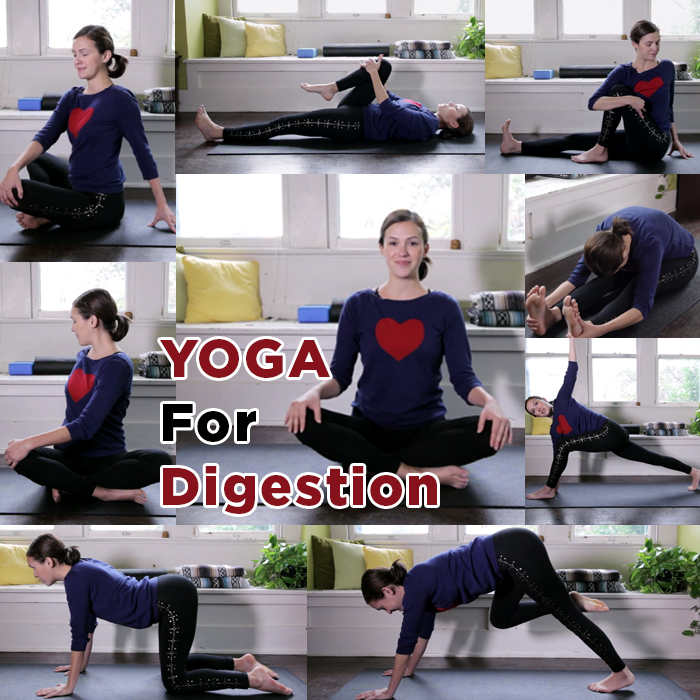 Embrace yoga for happy digestion! Have you ever practiced yoga for better digestion? If yes, share your experience with us by commenting below.